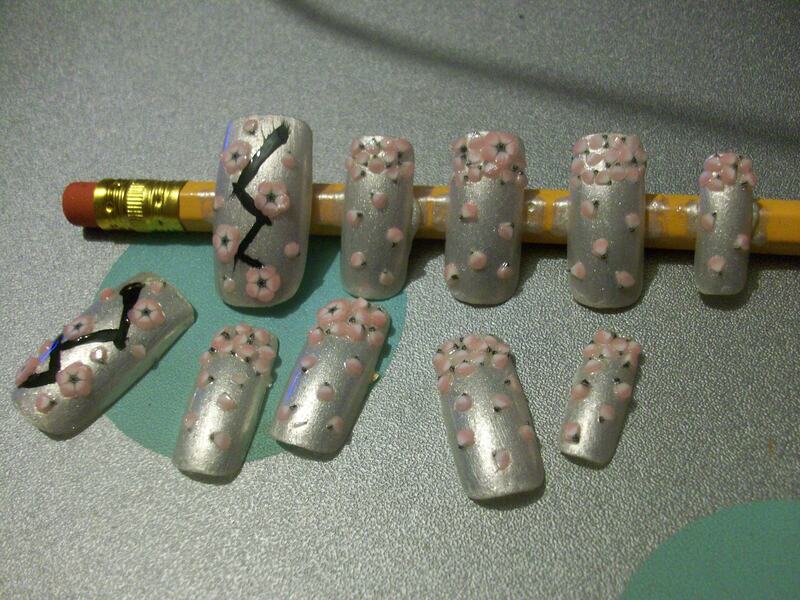 3 coats of silver glittery nail polish from France for the base, black nail art brush for the branch, and Fimo stick flowers for the cherry blossoms with a clear top coat. 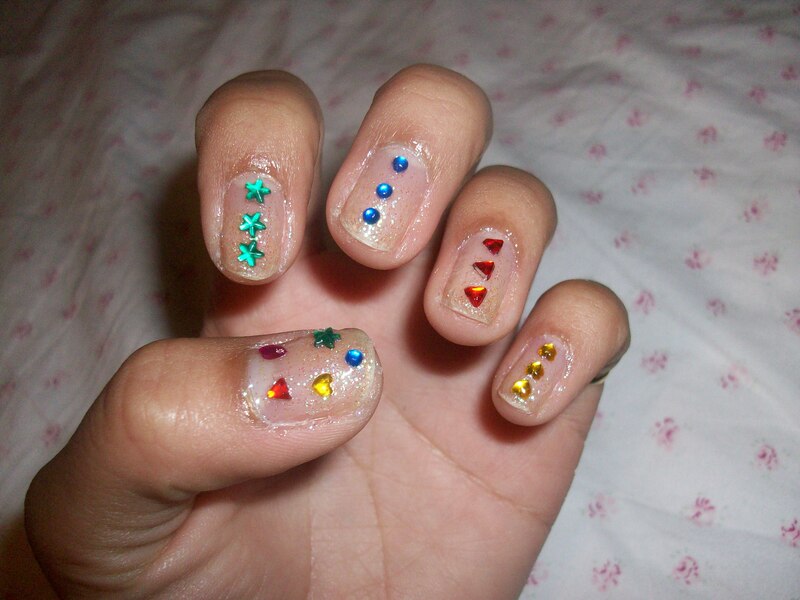 Tried to do gyaru style nails even though my nails were short from playing the piano. 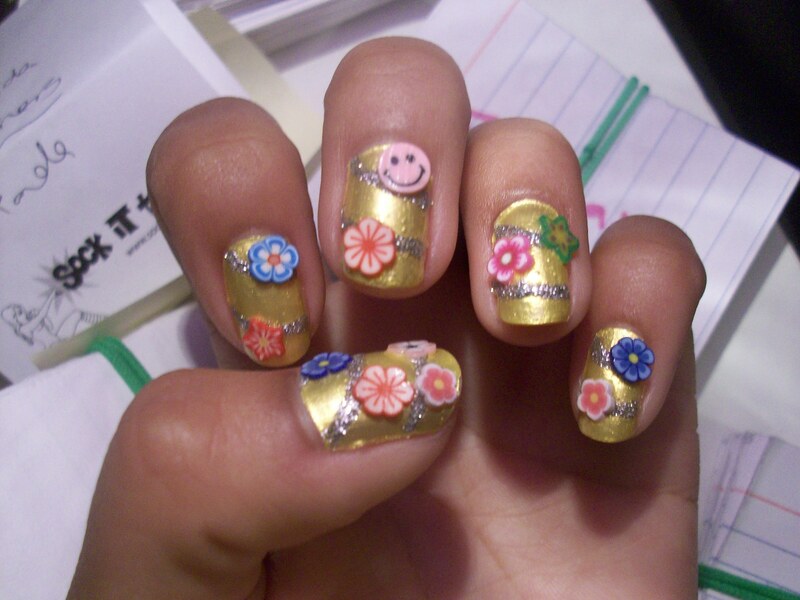 2 coats of yellow nail polish for the base, silver nail art brush for the stripes, and various Fimo stick shapes with a clear top coat. Unclean around the edges. One coat of silver glitter nail polish, various rhinestones, and one clear top coat. My first attempt at zebra print nails, done on my best friend’s tiny hands. 🙂 2 coats of white nail polish, black nail art brush, and a clear top coat. 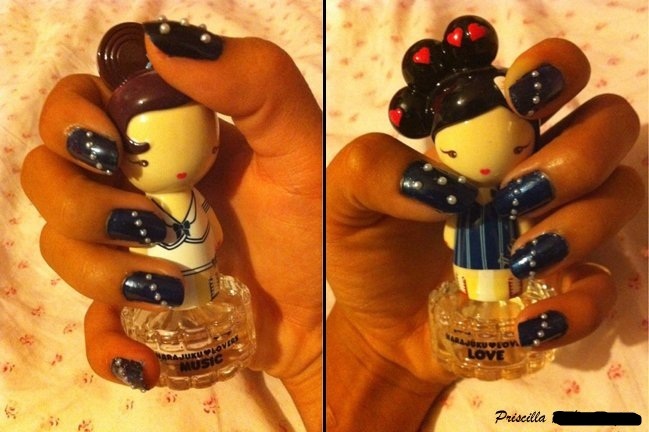 2 or 3 coats of slightly shimmery dark blue nail polish, 2mm pearls on each finger save the thumb, and a clear top coat. Unclean around the edges! 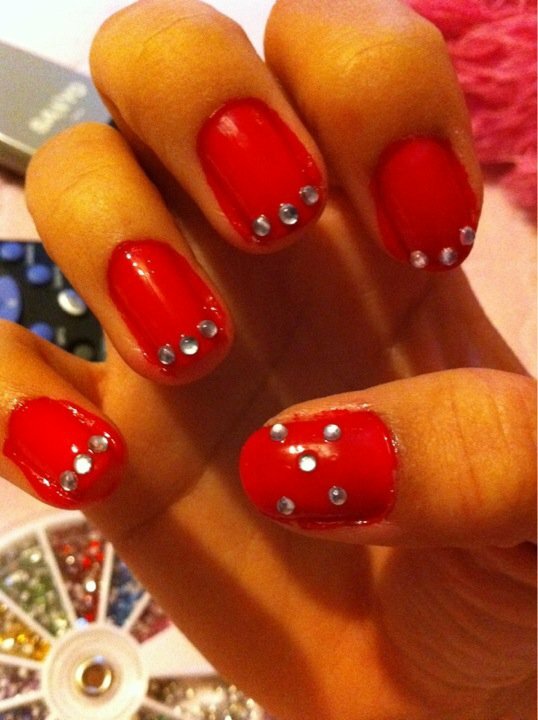 2 coats of cherry red nail polish, silver rhinestones, and a clear top coat. would appreciate if you can take part in our polls even if you have no intention in buying.